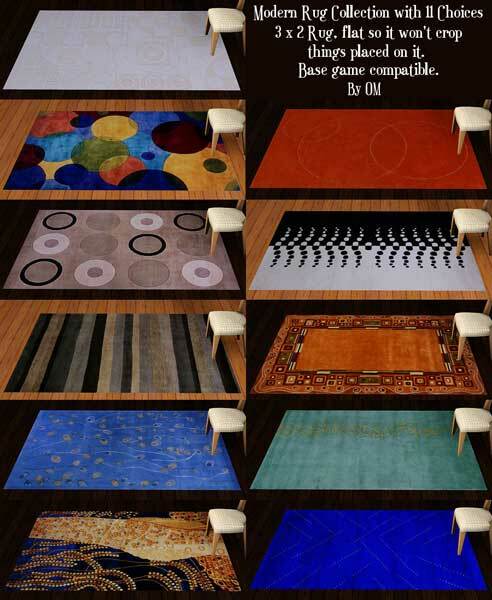 A Modern Rug Collection on a 3 x 2 base game compatible mesh. The rug is flat like EA's rugs so it won't crop the legs of furniture placed on it. There are 11 rug choices to pick from in a single mesh package.